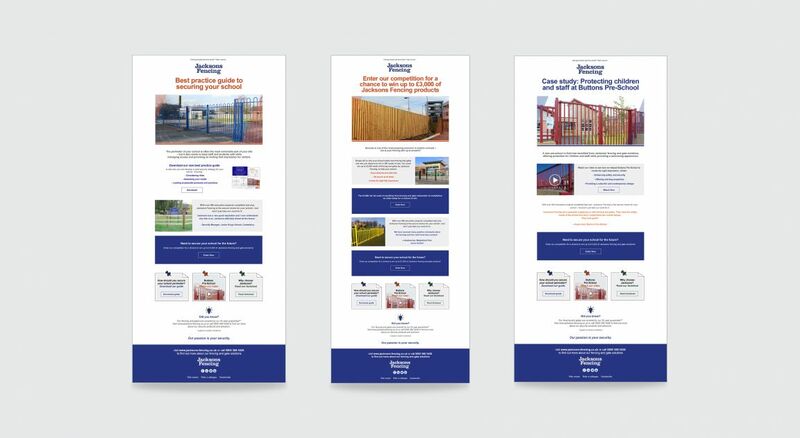 Jacksons Fencing, manufacturers of high-quality security and perimeter control solutions, worked with The Think Tank on an integrated campaign to raise brand awareness and generate leads within the education sector. 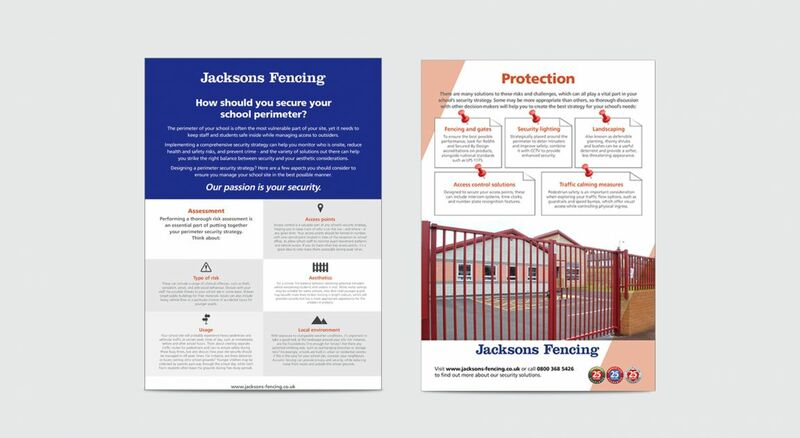 The campaign mainly targeted the education sector for Jacksons Fencing to retain and grow market share and cement their expertise in the sector. We created new content in an easy-to-digest and engaging format, to start a conversation with the target audience and raise brand awareness. 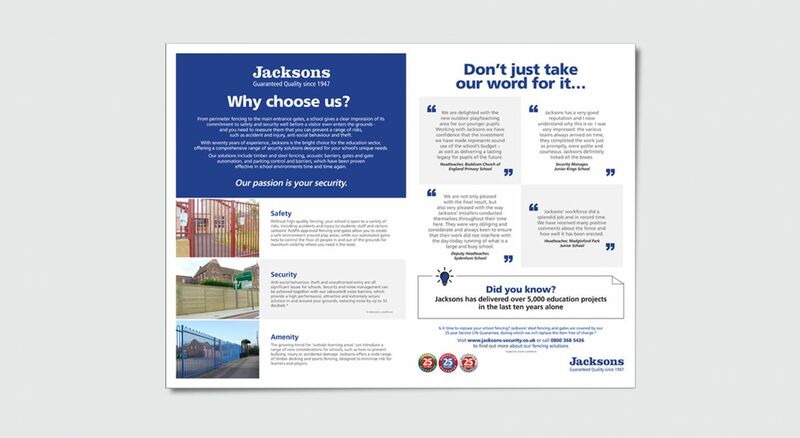 The initial phase included the creation of a how-to guide on choosing the right fencing for your school, a video case study, showcasing the product and positioning Jacksons Fencing as the ultimate perimeter solution provider for schools and a document called ‘Why Jacksons’ that reinforced the USPs of the company for schools that was promoted throughout both phases. 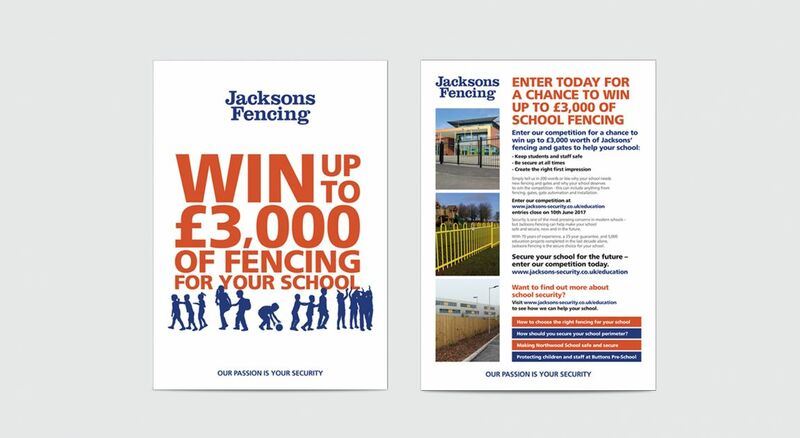 To continue the conversation with schools and local authorities, the second phase included a best practice guide on how to secure school perimeters, a second video case study and a competition for schools to win £3,000 towards perimeter fencing and access equipment from Jacksons (which was also promoted in a direct mail pack sent to schools). Along with encouraging audience engagement, the competition provided Jacksons with multiple leads on schools interested in updating their perimeter security. 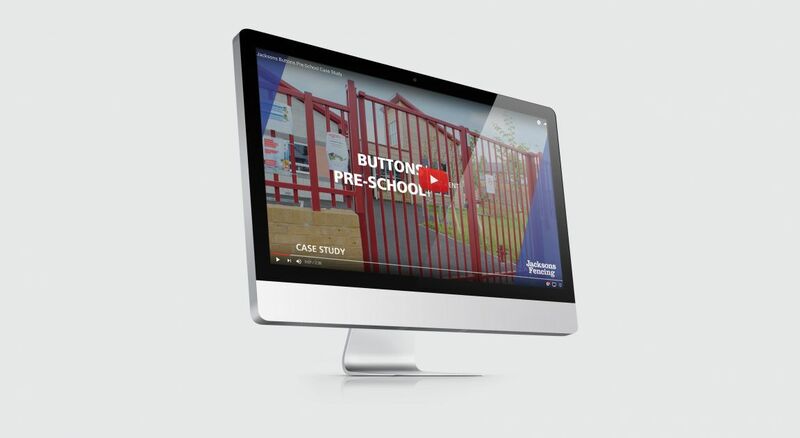 All materials were promoted through an integrated campaign of e-shots including six different e-mails sent to 26,000 schools, a leaflet sent to 29,500 schools, LinkedIn sponsored updates and social media, all of which directed prospects to a designated landing page. 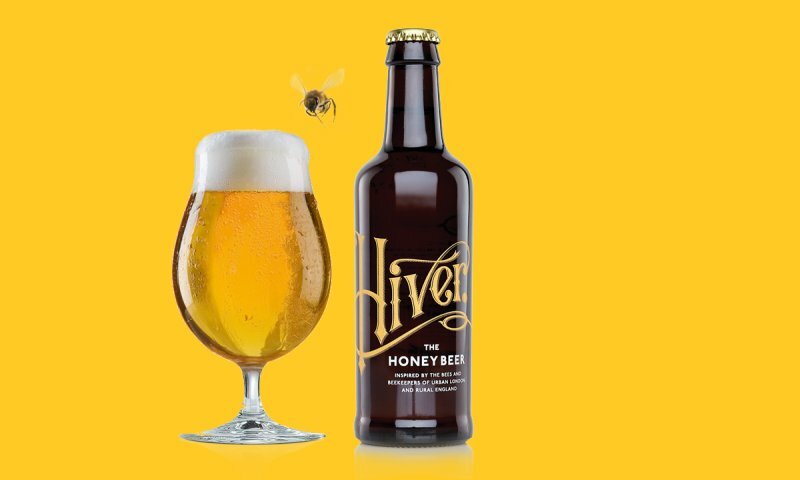 The campaign successfully raised brand awareness with the landing page experiencing a 687.95% uplift in page views (YOY) and 66,000 impressions on LinkedIn.